Rise of Iron is classified as a large expansion, approaching the size of The Taken King, and will have other unannounced features. It will retail for $30 US and is the first next gen-only expansion for Destiny – that’s right, Guardians, this is only available for PS4 and Xbox One. We can guess that there will be some kind of Digital Guardian package containing all previous content at a discounted price, as there was with The Taken King, but no details on that have been released yet. Rise of Iron launches September 20th, 2016. 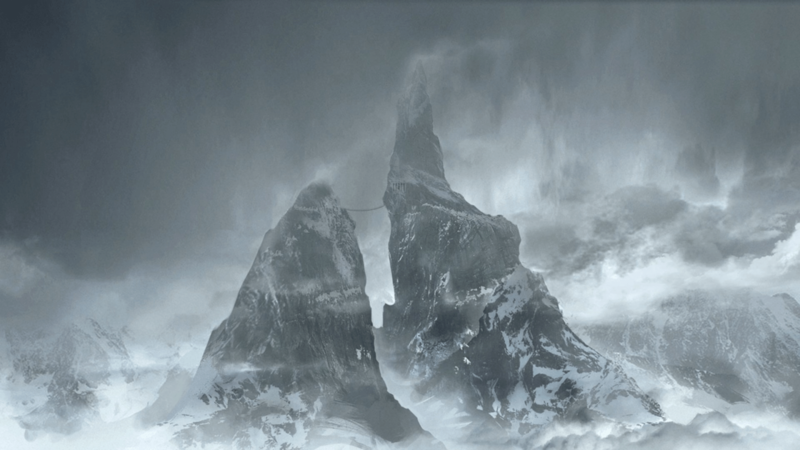 As you can see, we’re getting more of everything: new cutscenes and voice acting, new story missions and quests which will take us to new locations on Earth, including a new social space, Felwinter Peak, which will have to be recaptured from the Fallen before we get access to it. This space is home to the Temple of Iron and the mausoleum of Iron Lords, where we can pay tribute to these fallen heroes. We’ll also see a new Raid, New and Updated Strikes (additional Year 1 Strikes may be coming up in light with new enemies, as in The Taken King), a new Patrol Area and new Public Events as with all expansions. The expansion also features a significant Light Level increase, currently unspecified. We’re also getting new weapons and both Iron Lord and Warmind themed armor sets, and Crucible updates including new maps, a new game mode and… new features? No word on what that means, but this Guardian is anxious to find out! That’s right, Guardians, GJALLARHORN, Exotic Rocket Launcher of the apocalypse is coming back in Rise of Iron, and with an incredible new look, too! Guardians who pre-order Rise of Iron will receive the limited edition Iron Gjallarhorn in silver and black, while all Guardians will have access to a questline leading to each of us forging a new Gjallarhorn of our very own in the classic gold and white. Either way, it still has the highest WPG (Wolves per Gun) rating in the game. Lord Saladin is the last of the Iron Lords, legendary Guardians of years past, who battled the evil Golden Age techno-plague known as SIVA in defense of the Last City. Ultimately, the Iron Lords confronted this ancient evil, and sacrificed themselves to contain it deep beneath the surface of the Earth, with only Lord Saladin surviving. The Plaguelands were locked away behind the Wall and the City was safe, for a time, but Saladin continued to patrol the area and keep watch. It’s a good thing too, because something has collapsed a section of the Wall, and new army of SIVA-augmented Fallen are preparing to invade the Last City! We learn that every Fallen House has Splicers, dedicated to augmenting and enhancing the warriors of that House, but the House of Devils Splicers have uncovered the ultimate advantage: SIVA, an extremely dangerous golden age self-replicating nanotechnology. These new Ninja Pirate Plague-Zombie Robot Fallen (also peg-leg-dregs, or PLG for short) are planning to make themselves into Machine Gods, conquer the Last City and take the Traveler back. In various clips we see some pretty scary looking Fallen constructions including Warmind-style architecture which should have us all worried. 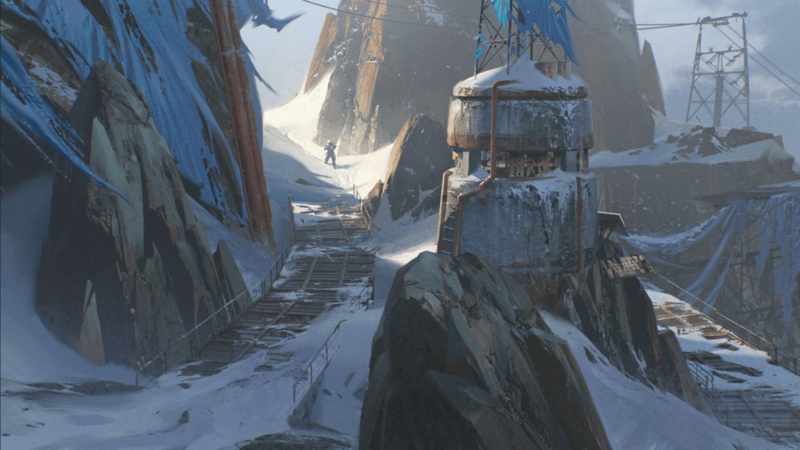 From what we saw in the stream, we can expect to see new fight mechanics and enemy abilities, new Siva-augmented bosses including a Death Zamboni that looks like it might chase us along the top of the wall, and a mecha-Kell with a massive cannon for an arm, as well as questlines which give us the opportunity to use a new Relic, the flaming battleaxe. Oh, and for those who have been wondering, Jolder is a woman. Now you know. We also got our first look at some of the new armor sets, which look amazing. The Iron Lord armor sets are Viking-themed, with fur collars, horns, wolves, and other familiar Iron Banner symbols – they look amazing and really suit the new snowy environments we’ll be exploring. You can see more of this right now on Bungie’s new Rise of Iron page! That’s all we have for now! DeeJ and the rest of the crew have indicated that we can expect additional streams focused on specific elements of this expansion throughout the summer leading up to the September 20th launch date, and their next stop is E3. We’ll continue to bring you more updates and details as we get them, including in-depth analysis and commentary as we break down this stream and any info released at E3 over the next week. 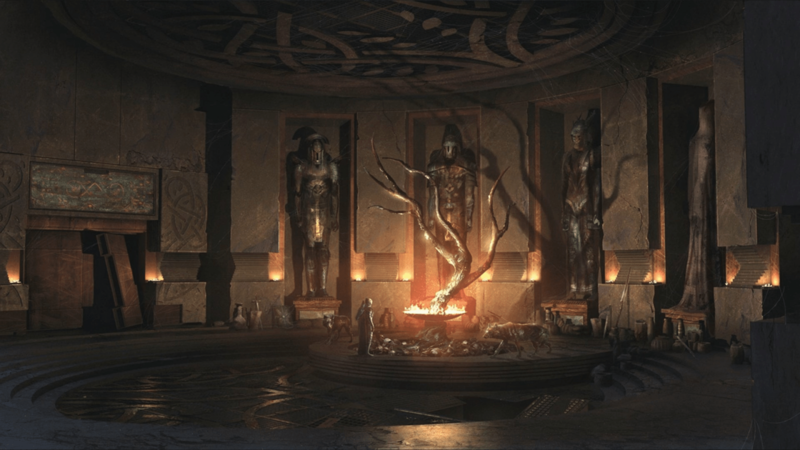 Previous Post:RISE OF IRON – Everything You Need to Know!